Pete Evans and Manu Feildel return with an eighth season of Australia’s number one regular program, My Kitchen Rules. An average audience of 2.32 million viewers tuned in this year to see Melbourne sisters Tasia and Gracia take out the 2016 title and $250,000 in prize money. Acclaimed chefs Colin Fassnidge, Karen Martini, Guy Grossi and Liz Egan return to Kitchen HQ next year to judge the new batch of aspiring home cooks. And when the MKR doorbell rings in 2017, expect new twists and a new face at the dinner table. Australia’s number one renovation show averaged more than 1.57 million viewers in 2016 and more than two million people tuned in to see Queensland twins Luke and Cody win and realise their dream of living mortgage free. In 2017, host Johanna Griggs returns with six new teams who will be faced with the huge task of tackling the worst house in House Rules history. With an average combined audience of 1.85 million, Wanted is Australia’s number one regular drama of 2016. In the first season, checkout chick Lola Buckley (Rebecca Gibney) and accountant Chelsea Babbage (Geraldine Hakewill) were thrown together by fate and circumstance in a thrilling chase across Australia in a car full of drugs and money. After a hair-raising pursuit across the starkly varied landscapes of Australia, the second season sees them journey the length of Thailand and New Zealand as they turn from the hunted into the hunters in an effort to bring the fight to their pursuers and unearth the truth about how and why this whole thing started. 800 Words continued to charm in 2016 with a combined average audience of 1.5 million. When the series returns in 2017, George (Erik Thomson) is finding his place among the eclectic folk of Weld, as he raises teenagers Shay (Melinda Vidler) and Arlo (Benson Jack Anthony). George and Fiona’s budding relationship is headline news, but it’s Jan’s budding baby news that really sets the town alight. There are new faces as George’s wayward brother arrives in town, but is that too many Turners for Weld to handle? Returning in 2017 for a second series, The Secret Daughter is currently the number one drama on Australian television. Starring Jessica Mauboy as part-time country pub singer Billie Carter and a stellar ensemble cast, the popular drama has captured everyone’s heart with its warmth, humour and music. Seven’s fly-on-the-wall dating show is back for a second series. The first series of First Dates was a runaway smash earlier this year, averaging 1.28 million viewers. It won its timeslot with Australians tuning in to see singles from across the country go on blind dates. Cameras controlled remotely record the date from start to finish – from first impressions, through all the awkward, heart-warming and funny moments, to the end of the meal where they must decide if a second date is on the cards. Who will find love next? In 2016, Seven Year Switch was number one in its timeslot each week with an average combined audience of 1.479 million. The breakout hit series returns in 2017 with four new couples who are on the brink of separation. They will put their relationship on the line in order to save it, living with a likeminded new partner in an experimental marriage, to help them decide if they would be better off with someone else. Viewers will learn about each of the couples – how they met, how they fell in love, how their relationship took a turn for the worst and why they are willing to risk everything to mend it. Therapists Jo Lamble and Peter Charleston return to assess the relationships and support them as they adjust to living with an experimental partner. At the end of this social experiment, each of the couples will reunite and make the decision to either part ways or reaffirm their commitment for life. Richard Roxburgh reprises his heralded portrayal of Australia’s most notorious former detective Roger Rogerson in Blue Murder: Killer Cop, leading an all-star cast including Toni Collette, Matt Nable, Dan Wyllie, Emma Booth, Justin Smith, Damian Walshe-Howling, Steve Le Marquand, Aaron Pedersen, Aaron Jeffery – and reprising their original roles, Tony Martin and Peter Phelps. A floating body, a drug deal gone wrong, and two former detectives the perpetrators. Life imprisonment is the end of Roger Rogerson’s story. The last Blue Murder ended with his expulsion in disgrace from the NSW Police Force. In this instalment, Rogerson struggles to make a living in a world that’s rapidly changing, caught between the pressures of criminals, police and a love that might save him. Written by Peter Schreck, directed by Michael Jenkins, produced by Jenkins and Carol Hughes, and executive produced by John Edwards, Richard Roxburgh and Julie McGauran, Blue Murder: Killer Cop is an Endemol Shine Australia production for Seven, made with the assistance of Screen Australia and Screen NSW. 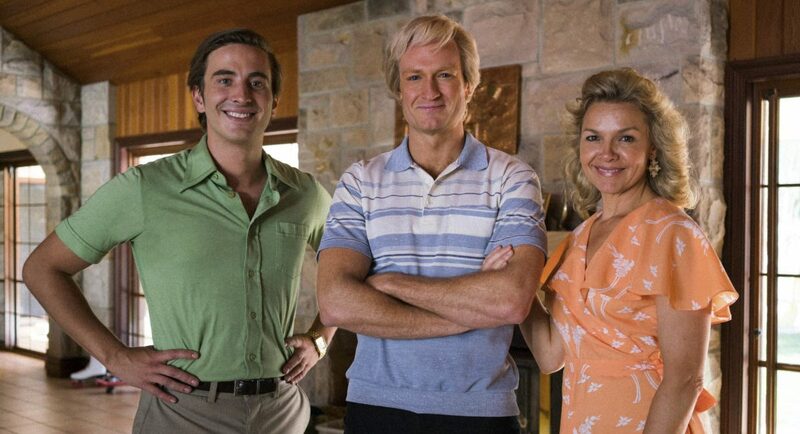 Starring Josh Lawson as Paul Hogan, Ryan Corr as John “Strop” Cornell and Justine Clarke as Noelene Hogan, Hoges: The Paul Hogan Story charts the meteoric rise of working-class Australian icon Paul Hogan whose easy, wise-cracking persona took him from the pylons of the Sydney Harbour Bridge to the heights of a Golden Globe win, Oscar-nominated adulation, unprecedented box-office success and international superstardom, meanwhile forging powerful and enduring relationships along the way. Written by Keith Thompson and Marieke Hardy, directed by Kevin Carlin, produced by Brett Popplewell and executive produced by Jo Porter and Julie McGauran, Hoges: The Paul Hogan Story is a FremantleMedia Australia production for Seven, made with the assistance of Screen Australia and Screen Queensland. Celebrating how a nice girl can finish first, the story of Olivia Newton-John charts her trailblazing personal, musical and uniquely female journey through one of the world’s toughest industries. Selling over 100 million records to become the number one recording artist in the world and starring in one of the most loved film musicals of all time, Olivia is a true Australian hero and survivor who’s lived her life in the goldfish bowl of public attention, learning along the way to harness the power of her fame and defining her greatest success by what she has been able to give back. Directed by Shawn Seet, produced by Margot McDonald and executive produced by Jo Porter and Julie McGauran, Olivia Newton-John is a FremantleMedia Australia production for Seven, made with the assistance of Screen Australia and Film Victoria. Shane Warne is a walking tabloid headline: women, parties, women, high-life and women. He loved being married but couldn’t help himself. And as he rolled from scandal to scandal he was also, through all this, the greatest cricketer of his generation. Warnie explores the paradox that is the most admired, criticised and publicised Australian sportsman of the century. Written by Matt Ford, produced by Kerrie Mainwaring and executive produced by Rory Callaghan and Julie McGauran, Warnie is a Screentime, a Banijay Group company, production for Seven, made with the assistance of Screen Australia and Film Victoria. Million Dollar Cold Case is cracking open the files of unsolved murders that have frustrated police and devastated grieving families for years. Police are determined to catch the killers, and have offered one million dollar rewards to help solve these horrific crimes. Million Dollar Cold Case takes the viewer inside each investigation as cold case detectives track down the murderer. They have a message for the killers – you will be caught. Someone, somewhere knows who did it. In this brand new series from Seven Productions, these stunning young mums have model good looks, glamorous lives and are never seen without their high heels and designer wear – but their best accessory is their baby bump. As the Italian family from Adelaide get ready to celebrate the arrival of their new princess, things become very competitive when they try to outdo the Melbourne yummy mummies with the most lavish baby showers, extravagant push presents and luxurious babymoons. When these yummy mummies get together, nothing, and no subject, is off limits. But their glamorous, perfect lives are about to change and they have no idea what’s in store because… the babies are coming! In this brand new series from Seven Productions, we follow Aussie couples who have found a way to get rich quick. They buy homes, they renovate, they sell – all in just a few short weeks. But with big reward comes big risk. Will it be flip or flop? And what are the secrets to their success? A serialised murder-mystery comedy, this documentary-style single-camera series goes into the heart of a quirky, small Southern town to follow the arrest and murder trial of a beloved, if idiosyncratic, poetry professor Larry Henderson (John Lithgow, 3rd Rock from the Sun, Dexter) and Josh Segal (Nicholas D’Agosto, Gotham), the young “Northeastern” lawyer hired to defend him. Following the trial over the entire first season, this funny character-driven mystery is packed with physical comedic moments in tandem with the suspense of watching the case unfold. 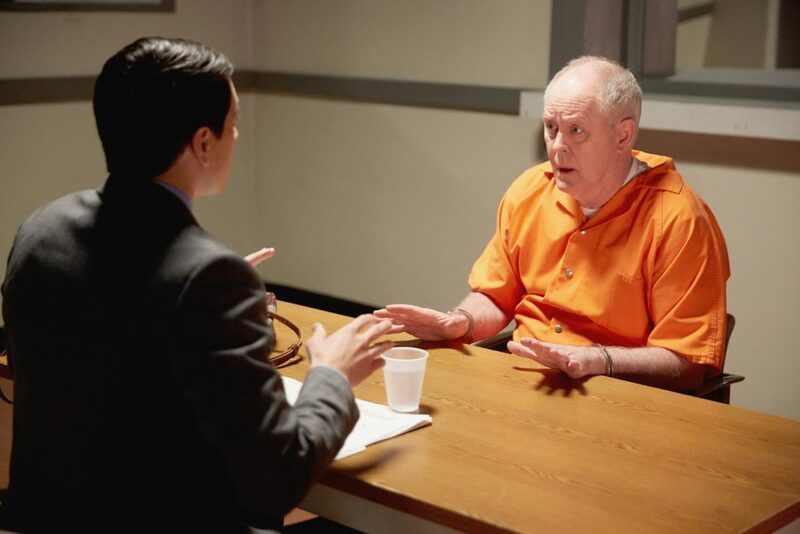 Larry, the accused, is vocal about maintaining his innocence, but as the cards stack, fall and shuffle, and the secrets come out… did he or didn’t he? 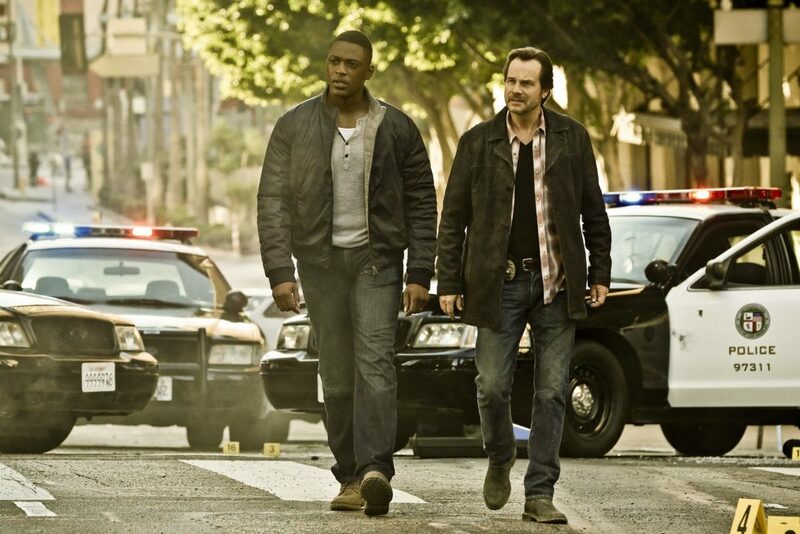 A gritty, intense drama from Jerry Bruckheimer, Training Day is a reimagining of the groundbreaking film of the same name, beginning 15 years later and exploring a modern-day Los Angeles in all its guts and glory. The LAPD’s Kyle Craig (Justin Cornwell) is one of the good guys. An idealistic, rookie cop bumped up to detective in an elite and elusive unit that goes after the worst of the worst. He’s been tasked to expose the corruption of veteran cop Frank Rourke (Bill Paxton, Big Love), a charming but crooked, morally ambiguous detective. As the bullets fly and we enter the undercover world with these partners who don’t trust each other, who’s training who?